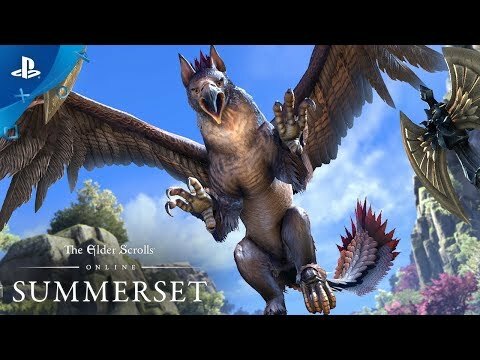 Announcing The Elder Scrolls Online: Summerset, the next Chapter in The Elder Scrolls Online saga. Rally your allies, brave champions. Journey to Summerset and fight for Tamriel’s fate once more! Explore an all-new zone packed with adventure. Join the mysterious Psijic Order and gain powerful new abilities to aid you on your quest. Reunite with old friends, forge new alliances, and work together to unravel a conspiracy that threatens the entire world’s very existence. The epic saga continues in The Elder Scrolls Online: Summerset.